Attributed to George Mansfield, surveyor (1 May 1797 - December 1800). 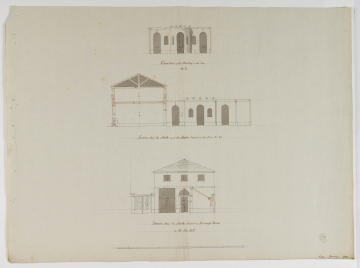 The Soane office Day Book records him as working for eight days from 2-11 January 1799. Seward and Sword are mentioned on 1 and 2 January. The poultry house with its almost egg-shaped plan (drawing ) and cresting with almost egg-like balls strikes a light-hearted note.